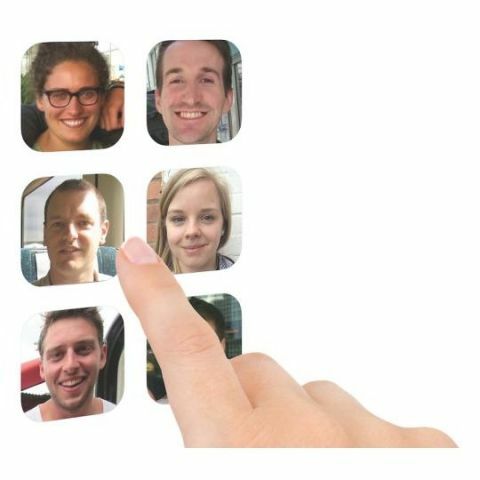 'Facelock' authentication system that asks you to identify familiar faces, could be the end of complex passwords. Scientists have developed a new authentication system that could soon use your friends photographs to create a personalised 'lock' for your accounts. To register with the system, users nominate a set of faces that are well known to them, but not familiar to others. The system combines faces from across a user's domains of familiarity for e.g., music, sports and the researchers were able to create a set of faces that were known to that user only. The images make 'Facelock' which consists of a series of face grids and each grid is constructed so that one face is familiar to the user, whilst all other faces are unfamiliar. Psychological research has found that humans can recognise familiar faces across a wide range of images, even if the images are of poor quality. The report showed that with unfamiliar faces, it's quite the opposite. Even minor inconsistencies in images of unfamiliar faces lead to error in recognition. The images in different poses of the same unfamiliar person may even lead us to believe that they are of different people. The system using this psychological difference between familiar and unfamiliar people is made use of in designing Facelock. Lead author, Dr. Rob Jenkins of the University of York in the UK, said that "pretending to know a face that you don't know is like pretending to know a language that you don't know - it just doesn't work. The only system that can reliably recognize faces is a human who is familiar with the faces concerned."